When it’s hot its hard to keep dogs properly exercised without the risk that they’ll over-heat. Little Bear especially finds the warm weather quite tough and although he knows his limits, it still leaves us with a problem: One very bright, very active little dog who has no outlet for all his get up and go. As we know ourselves, being happily tired after a good workout is very different to the lethargy that sets in when it’s just too hot to move. 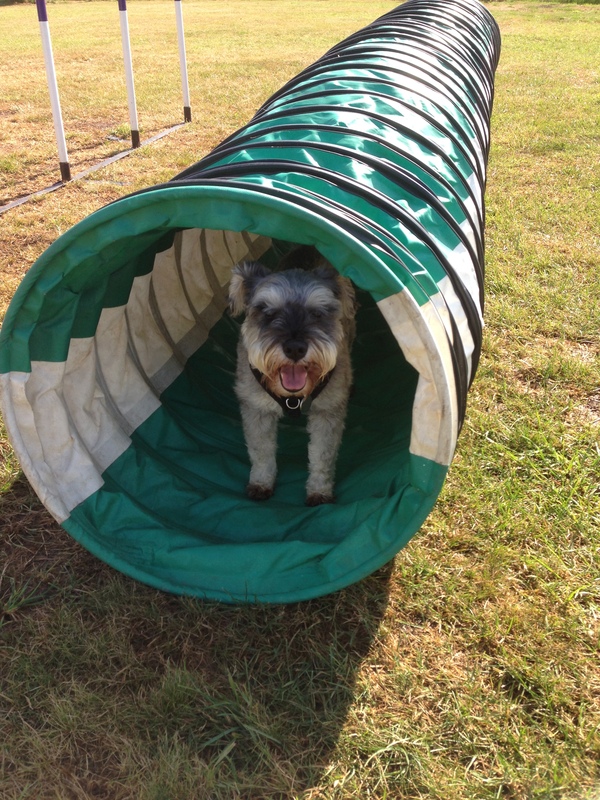 So this morning , before the day had chance to hot up, we booked the local agility course with a friend of ours. LB has done agility before. We had a couple of one-to-one lessons and then joined a group class. 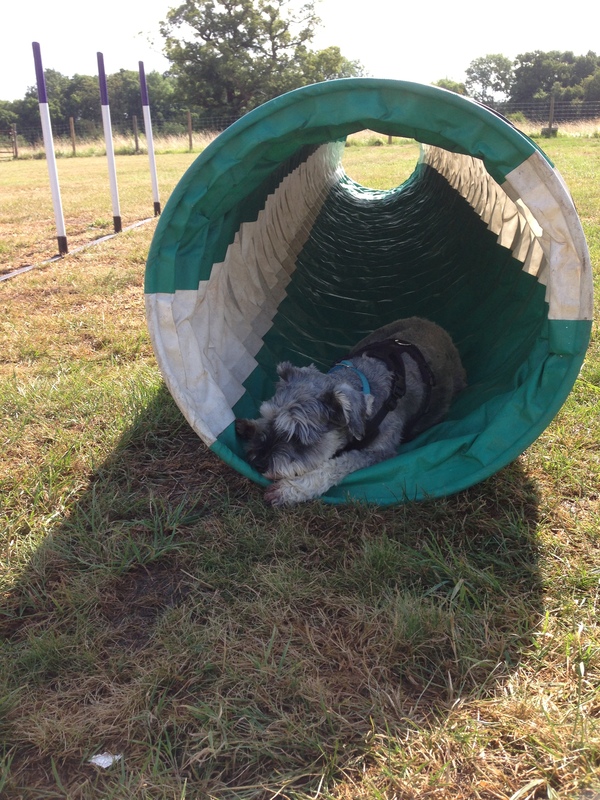 Given his anxiety levels, the group class was incredibly challenging, but he coped admirably and seemed to forget about the other dogs once he was doing the course. He’s loved agility from the off and proved that although he wasn’t built for speed or endurance, he’s a brave little chap. To my utter amazement he tackled a full height A frame on his first ever session (see the video here). I was reminded of this today as he lost his footing on the walkway but pressed on regardless. Then again when he misjudged a jump and took a tumble. He picked himself up and with a bit of lighthearted encouragement took the same jump again and again as if to prove it hadn’t beaten him. Nervous dogs usually lack confidence and depending on their temperament, use either aggression or retreat (fight or flight) as their only means of coping with the things that scare them. Watching LB face his fears today and overcome them so swiftly was a timely reminder of how I need to be constantly finding ways to build his confidence and boost his resilience. The other bonus is that before the sun had had a chance to take too much of a hold, Annie and Bear were back home, happily tired, mentally stimulated and quickly snoozing. Wow, that sounds like serious heat. Laughing at the thought of Schnauzer telepathy. I wish LB would take a leaf out – he prefers to use his voice when he wants anything.